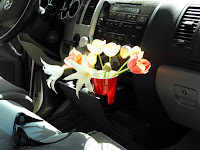 It was an accident, but I recreated the Volkswagen style with a bouquet holder in my truck. 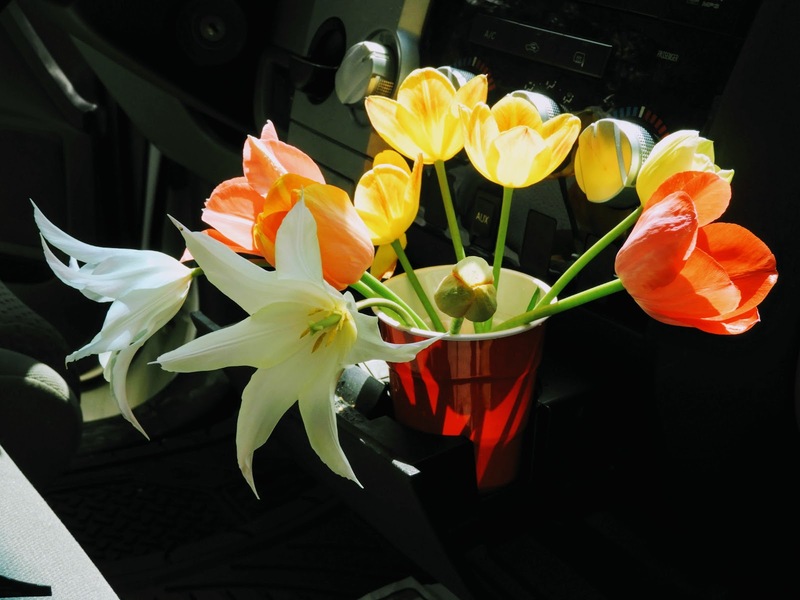 I think the automaker still puts a vase holder in their cars. I didn’t find a jar to put my tulips in but I did find my red solo cup. The dark interior of the truck made it an image that had to be taken. 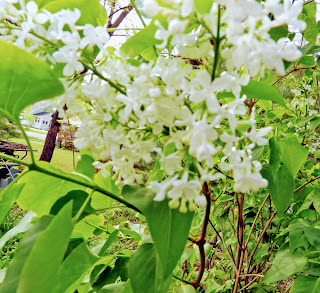 The lilac bushes are late in their blooming times this spring. You can see here that they are partially in bloom, but the smell is the same. We have a bouquet of them at our new place but we have them out on the deck so we don’t get sinus shut down because of them. The white lilacs that I cut down to a short height a few years ago are now blooming again. I got my start of these from Shirley who use to live next door. 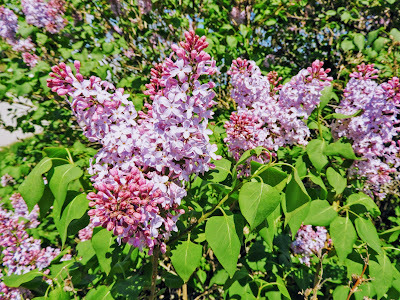 The lavender lilacs were a small start from Minnesota 40 years ago. 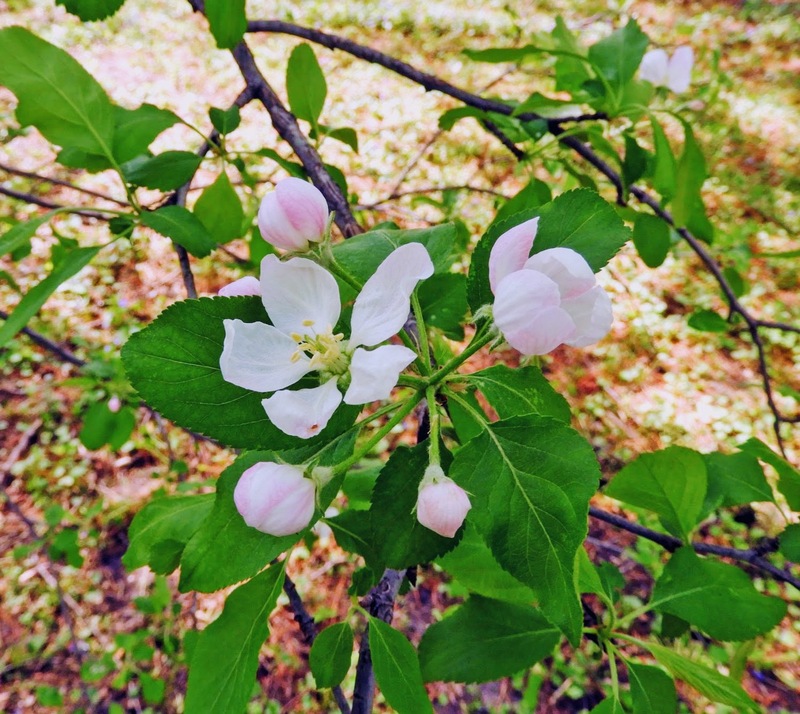 I am living in an area where most of these traditional shrubs are not growing. The new developments have an obsession of grown golf course grass and very little landscaping. I really do have a blank wall of the house in the backyard that could use lilac shrubs. I have a hydrangea shrub back there that likes that clay soil. 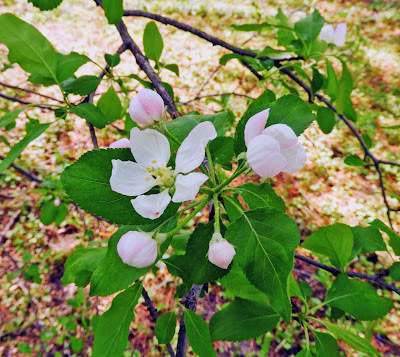 The three apple trees and pear tree are all in bloom right now. I don’t see so many bees on them but I am sure there must be some. I have to mow my yard at the new place today as the grass is starting to seed already. I guess I will be mowing every five days until the heat of the season starts. I am hoping to have tomatoes planted today also before the rains start tomorrow. I hope everyone has a great day today. Thanks for stopping by today. 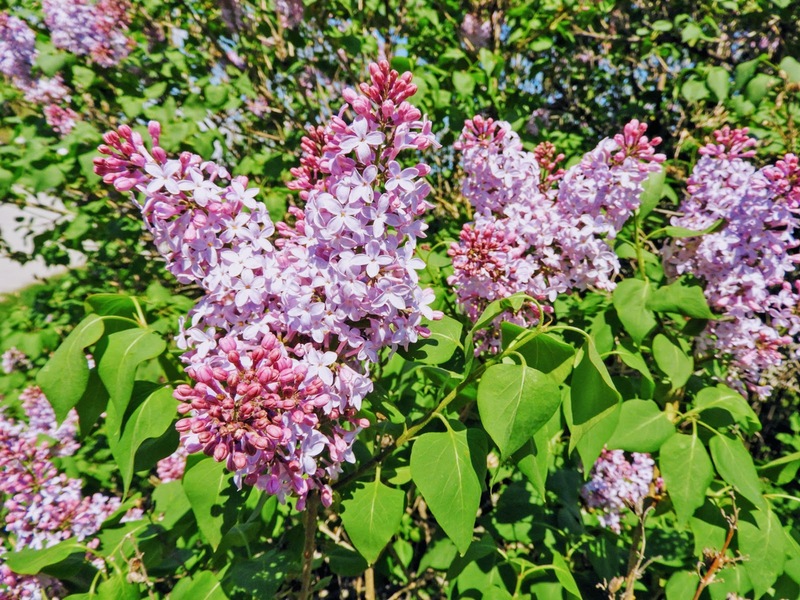 Nice to see Lilacs! I can almost smell them!